Want to be a better person? Change your character. Christian Miller, professor of philosophy at Wake Forest University, discusses why making slow, incremental change is the way to get back to good. Christian B. Miller holds a B.A. in philosophy from Princeton University, and a Ph.D. from the University of Notre Dame. His main areas of research are meta-ethics, moral psychology, moral character, action theory, and philosophy of religion. 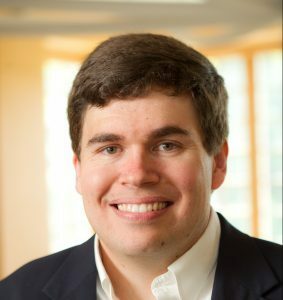 He is the A. C. Reid Professor of Philosophy at Wake Forest University and Philosophy Director of the Beacon Project (http://www.moralbeacons.org/), funded by the Templeton Religion Trust. He was the Director of the Character Project (www.thecharacterproject.com), which was funded by $5.6 million in grants from the John Templeton Foundation and Templeton World Charity Foundation. He is the author of over 80 papers as well as three books with Oxford University Press, Moral Character: An Empirical Theory (2013), Character and Moral Psychology (2014), and The Character Gap: How Good Are We? (forthcoming 2017). He is also the editor or co-editor of Essays in the Philosophy of Religion (Oxford University Press), Character: New Directions from Philosophy, Psychology, and Theology (Oxford University Press), Moral Psychology, Volume V: Virtue and Character (MIT Press), Integrity, Honesty, and Truth-Seeking (Oxford University Press), and The Continuum Companion to Ethics (Continuum Press). In the ocean off Panama City Beach, two boys were drowning. To rescue them, 70 complete strangers formed a human chain stretching out into the ocean. They brought the boys to safety. Stories like this inspire us with hope about the good that human beings are capable of. But there is a darker side to our characters. Studies in psychology have found that we are willing to lie to about 30% of the people we see in a given day. Under pressure from an authority figure, many of us will even give lethal electric shocks. So where does this leave us? With the idea that our character is very much a mix of good and bad. The labels of virtue and vice just don’t fit most of us very well. With our mixed characters, we aren’t good enough to be virtuous, but we also are not bad enough to be vicious. Hence there is a character gap. There is the virtuous person we should be, who stands in juxtaposition to the person we actually are. The gap between the two is often large. Fortunately there is good news coming from psychology. Our characters are not fixed in place. We can do better, but it takes time and progress is slow. One way to do so involves moral reminders. Life often distracts us and we lose sight of right and wrong. Moral reminders, like signing an honor code, get us back on track. A second approach has to do with role models. Abraham Lincoln and Harriet Tubman serve as great sources of wisdom, and can inspire us to change our lives. A third way is through education. By learning more about character with the help of psychological research, we can resist the urge to obey a corrupt authority or remain a bystander in an emergency. The faster we can implement these approaches to bridging the character gap, the better. I concur. The woke from Wake Forest! The book is marvelsley written. As a Muslim, my best charactor example in a human was in the profet Mohamed.